If you want to stand strong against your competitors in the industry, you need to play the marketing game and play it well. In the business world, business cards in Cardiff are frequently swapped by people at events, trade fairs and various other occasions. With so many people exchanging these, you need to ensure that yours has been efficiently crafted so it can garner maximum call backs. These tips should help you accomplish this so that most of the people you hand your information to, will call you back. Refrain from cluttering the space with too much information. These pieces of paper need to offer people just enough information about your company, so they can call or reach you when your services or products are required. Utilize all the space on the paper by writing on both sides. Avoid keeping the back blank, and try to add extra details like promotional offers or a special coupon. This will ensure that the person doesn’t get rid of your contact details, but stores them for future reference. 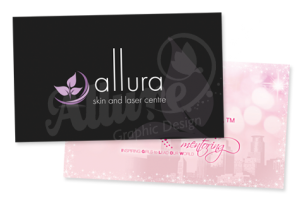 Most people go for business card printing in Cardiff, as they offer well designed cards with no errors or typos. This is crucial as you do not want to come across as someone who is lacking company credibility. Be sure to check the copy before you send it off to the printers. Such unique business cards will be ones that will be remembered no matter how many a person receives, for yours will stand out even from the biggest stack.